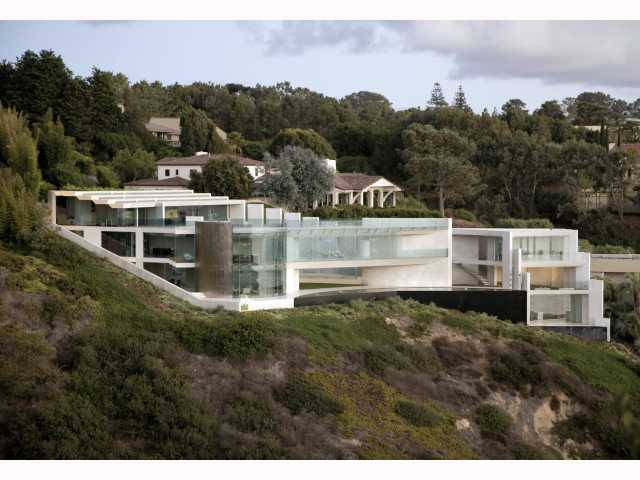 This modern masterpiece in La Jolla, CA must be seen to be believed. 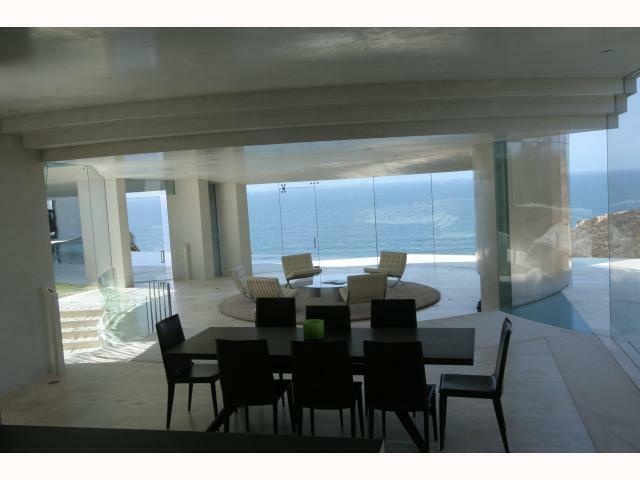 It is a beach front house designed by Wallace E. Cunningham, one of Architectural Digests Top 100 designers. 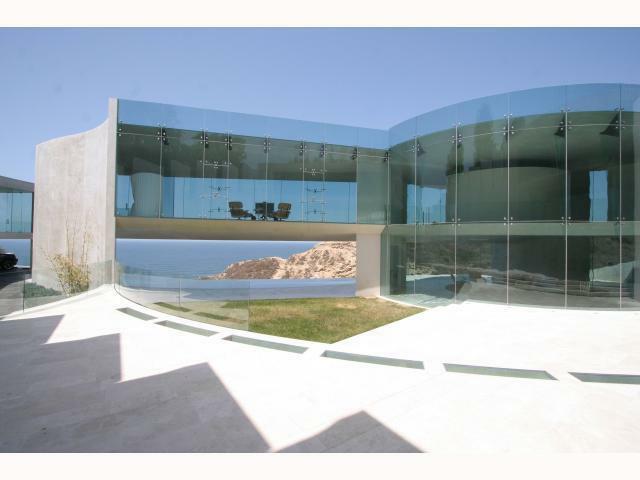 It is constructed from white concrete and has floor-to-ceiling glass windows. This 11,000 SQ FT property features 4 bedrooms and 5 baths and is located on the hills with panoramic view of the ocean in one of the prime areas in San Diego (La Jolla). It is on a 0.77 acre lot size. It also has 4 levels, black tiled infinity pool, 8 car garage, a theater and a guest house. 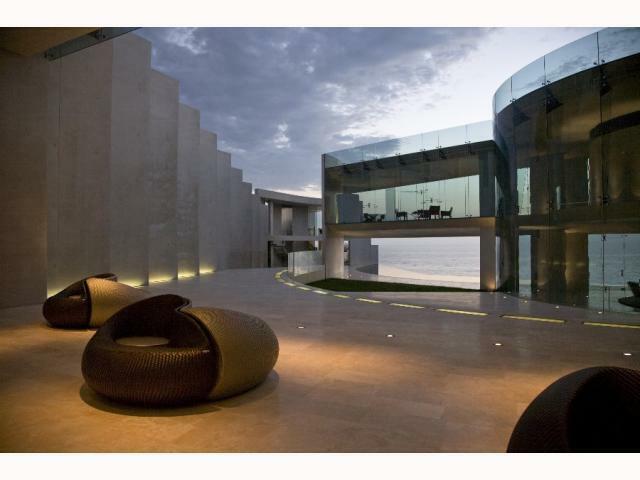 It took 5 years to built this property and it is listed for $25 million.